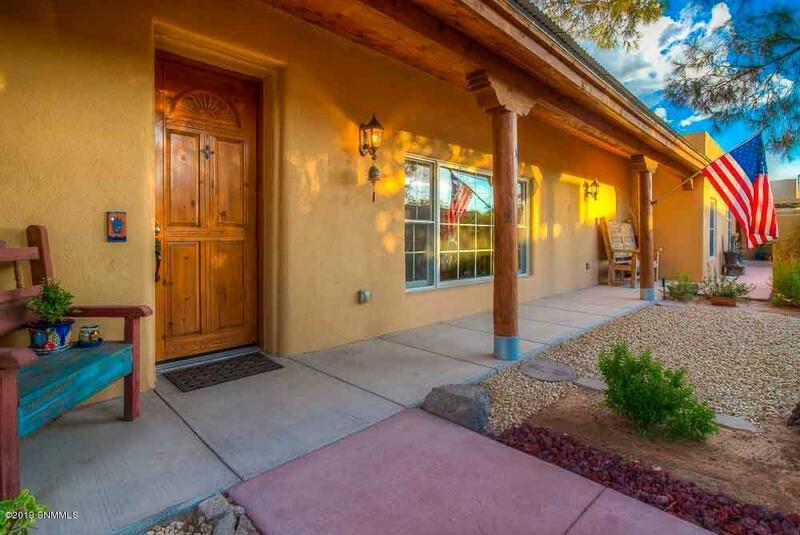 In the historic district of Mesilla is this beautiful 3 bedroom modern spanish pueblo style home. 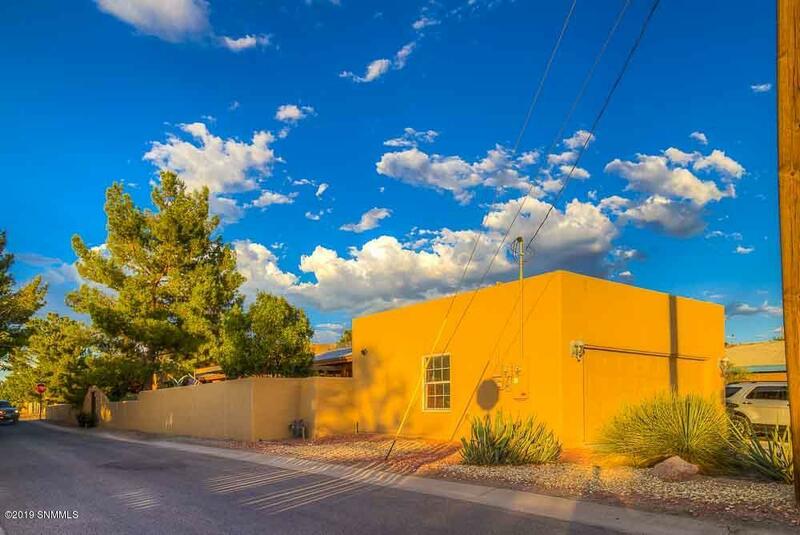 Completely remodeled in 2007 to include all new flooring, plumbing, electrical, insulation & HVAC. The walls are 18' thick and consist of Adobe & Foam Form/ICF. The home features 2915 sq. ft. plus an additional 153 sq. 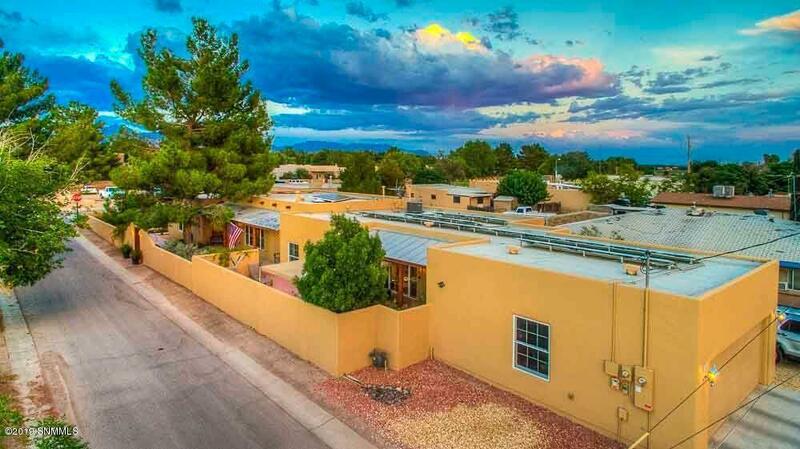 ft. enclosed patio that could also be a cozy garden room, 2 offices or 4th bedroom and/or hobby room. 2 1/2 bathrooms and is handicap accessible. 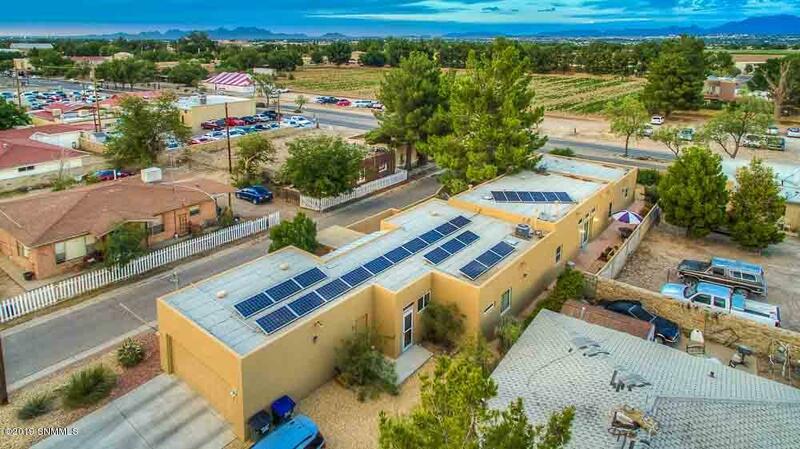 The home sits on 2 corner lots with 25 solar panels which have eliminated the electric bill. Enjoy sitting on the patio and listening to the music playing in the plaza of Mesilla.